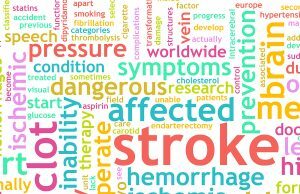 Senior Care in Youngsville NC: What Are the Warning Signs of a Stroke? Stroke is the third leading cause of deaths and the leading cause of disability among both men and women in the United States. As a family caregiver, it is extremely important for you to be able to detect the warning signs of a stroke so you can act quickly and get your parent the medical care they need to properly and effectively manage the situation. Strokes can occur suddenly and cause extensive damage within a matter of minutes. The faster your parent has access to care, the better chances they have of surviving the stroke and avoiding long lasting debilitating consequences. Even if you are taking dedicated steps each day to prevent stroke, it is still important for you to be aware of these signs and know how to respond to them. Experts state that approximately 80% of strokes are preventable, but some strike without risk factors. An easy way to remember the warning signs of a stroke and what to do is the word FAST. This stands for facial drooping, arm weakness, speech difficulties, time to call 9-1-1. If you suspect your parent is having a stroke, don't hesitate. Call emergency medical services immediately so they can get the care they need. While there are many benefits of senior care for your aging parent, you shouldn't overlook how much this type of care could mean for you as their family caregiver. Caring for senior can be stressful and even overwhelming, and if you have a busy schedule, children to take care of, a career, and other aspects of your life that require your attention, you may feel as though you aren't able to do everything you need to do on a daily basis, making you stressed, exhausted, and feeling defeated. A senior home care services provider can be a tremendous source of help in this situation. Stepping in to fill care gaps, offer companionship, manage stressful or sensitive tasks, or simply be a source of transportation and added independence, can give you more time, freedom, and flexibility, relieve your stress, and let you feel confident your parent is able to live their best life while you manage your responsibilities as well. IF YOU OR AN AGING LOVED-ONE ARE CONSIDERING SENIOR CARE IN YOUNGSVILLE, NC, PLEASE CONTACT THE CARING STAFF AT SENIORS HELPING SENIORS TODAY. CALL (919) 761-5346.